One Machine. 13 Configurations. Countless Applications. 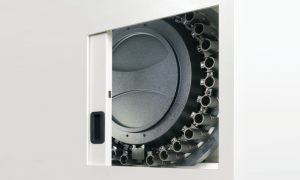 With the VERTICAL CENTER UNIVERSAL (VCU) Series, Mazak takes a simple modular design concept and turns it into a versatile, small-footprint vertical machining center selection with advanced capabilities for cost-effectively handling any small-parts machining requirement. 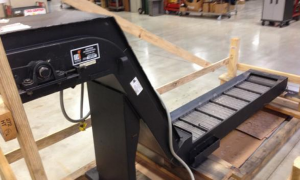 The series, which includes the VCU 300, VCU 400, and VCU 500, provides the ultimate in manufacturing flexbility through the 13 different machine configurations, including 3-axis and 5-axis versions, various X-axis stroke sizes and pallet changing capabilities. 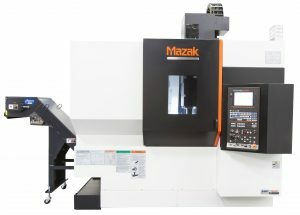 Only Mazak offers such a wide range of machine configurations within one design platform. 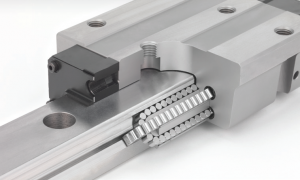 Wether parts are simpler or complex, produced in low, medium, or high volumes, the VCU Series has a machine that can offer the perfect balance of advanced technology, increased productivity and maximum value for your needs.